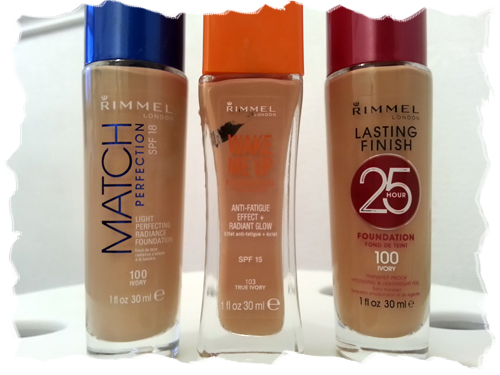 The Beauty Scrapbook: Which Rimmel Liquid Foundation? In my opinion Rimmel have been on a total roll this year. When I was looking into their foundations I found myself struggling with so many positive reviews online, especially of the Wake Me Up and Match Perfection foundations. I simply had to try them all. 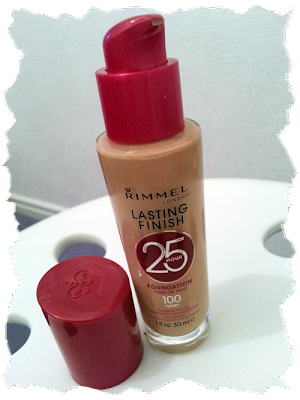 I first purchased the Lasting Finish 25 Hour foundation in shade 100 Ivory. This was mainly because I was going to Center Parcs for a long weekend and I really didn't want to have to worry about topping my face up. I thought this was pretty decent at its job. It lasted the majority of the day and didn't dry out my skin or go patchy, though I would recommend priming and moisturising beforehand. Ideal for normal, oily/combination to oily skin it provides a solid medium coverage but can be built up for a flawless look without looking cakey. It does not transfer once completely dry and is perfect for those on the go, a full day at school or a long day at the office would be seen through. Retailing at £7.99 this won't break the bank and ticks the boxes for many people. However I find the shade selection to be limited as there are only six and 100 Ivory is the palest shade, come on Rimmel! I may repurchase but I rarely use this unless I know I won't have chance to touch up with powder/concealer during the day. Also, why 25 hours? Is the extra hour so important? Next up we have the Match Perfection foundation in shade 100 Ivory yet again. 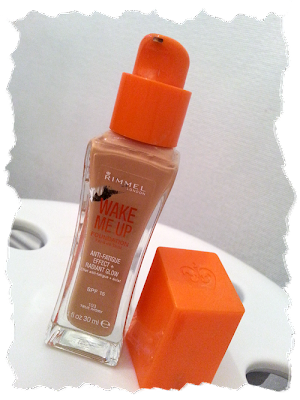 As soon as I blended this into my skin I instantly looked 'awake' and gave a subtle yet natural glow. I also found it was perfectly matched to my skin tone, no pun intended (or was it?). 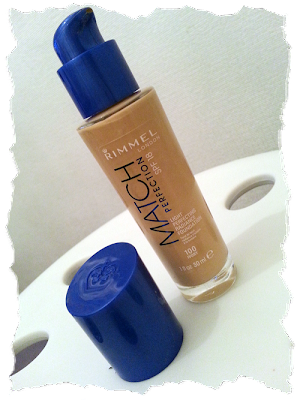 It is marketed as a light perfecting radiance foundation and I have to say it does exactly what it says on the tin. Providing a light/medium coverage that is buildable working best on dry to normal skin this is a staple product in my makeup collection. It has great staying power as well, perhaps not as great a the Lasting Finish above, but perfect for an everyday dewy look. There isn't much of an excuse not to own this, it comes in ten different shades and can be picked up for £6.99, a bargain really. I will be repurchasing when I run out but it is lasting me quite a while! Last but certainly not least we have the famous Wake Me Up foundation. I grabbed this one in shade 103 True Ivory as I had a bit of a tan at the time. I am seriously impressed with this one. It has an anti-fatigue effect and a radiant glow that could honestly pick anybody's skin up. It brings life into your complexion and hide imperfections subtly leaving a light dewy look behind. I would say this has light/medium coverage and is ideal for those wishing to achieve a natural look. It does actually have a tiny bit of glitter in it but don't be alarmed as this isn't directly noticeable, it just adds to glow slightly. However, I would recommend that those with oily skin stay away otherwise there will be more shine than the sun unless you plan on caking the powder on (please don't). As you can see I haven't shied away from using this one regularly for a fresh everyday look. 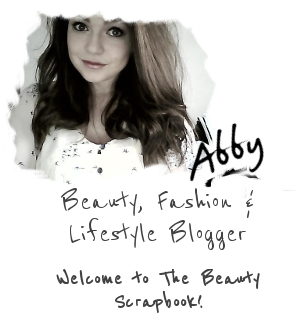 I feel like I'm just copying every other beauty blogger out there but this really is fantastic. If you are after that full coverage flawless matte look then this isn't for you but I would advise giving it a try if you haven't already. At £8.99 it rolls in as the most expensive of the three but it's worth it if one of the six shades suits you. Overall, these foundations have entirely different purposes. 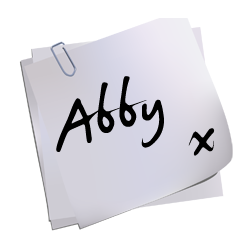 Some will appeal to some more than others so I hope I've helped narrow down any decisions about your new Rimmel foundation for you!